McGavin's Bread Basket on Harvey and Spall is having their 10 loaves for $10. I was in yesterday and the employee said it would be over Monday. 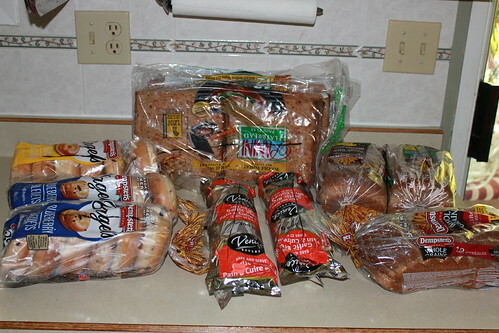 This is such a fantastic deal for bagels, bread, garlic bread, panini bread, hamburger buns, hot dog buns and pita bread. The selection varies day to day. I popped all of it in the freezer. I hope you can get some!